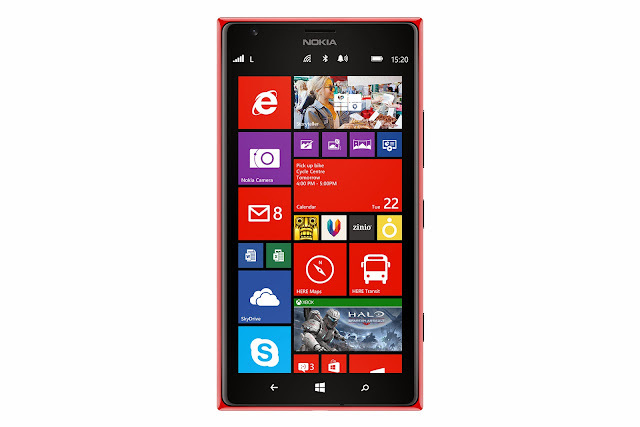 Nokia has launched its first best buy price windows smartphone, the Lumia 1520 in India. The Windows device available in Red, Black,Yellow and White color. This device provide best hardware and software features to users. Nokia Lumia 1520 runs on windows Phone 8 with third Live Tile column in the start menu. Nokia also provide a case for Lumia 1520, at the price of 2,999. The front cover of the case is flexible. The new device comes with 6-inch full-HD LCD display with 1080x1920 pixels resolution. Lumia 1520 also has 20 megapixel rear camera by dual-LED flash and also provide 2-megapixel front facing HD camera. The device powered by 2.2 GHz Qualcomm Snapdragon 800 processor and also offered 2GB of RAM. The device also provide 3400mAh Battery with wireless charging functionality. Lumia 1520 built new preloaded applications like Nokia Storyteller app which integrates clicked images and recorded videos with HERE maps, and a new Nokia Camera app with Pro Camera UI.